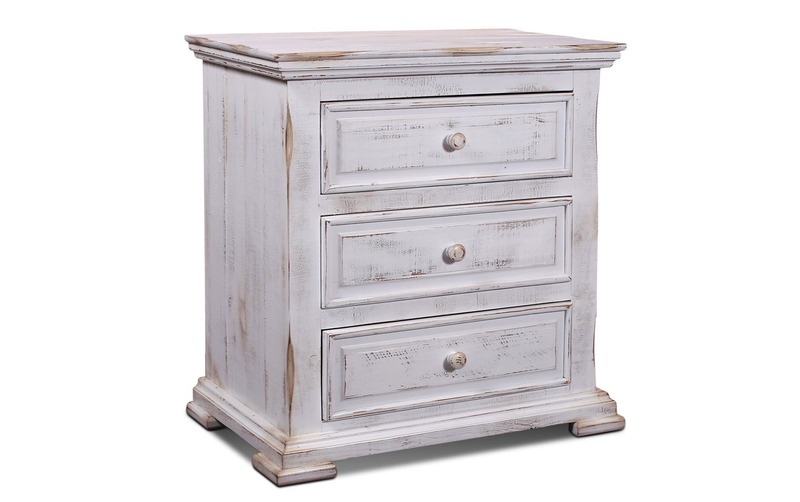 Two drawers, solid pine wood in a weathered Antique Dark Grey finish, and lovely hardware finishes. 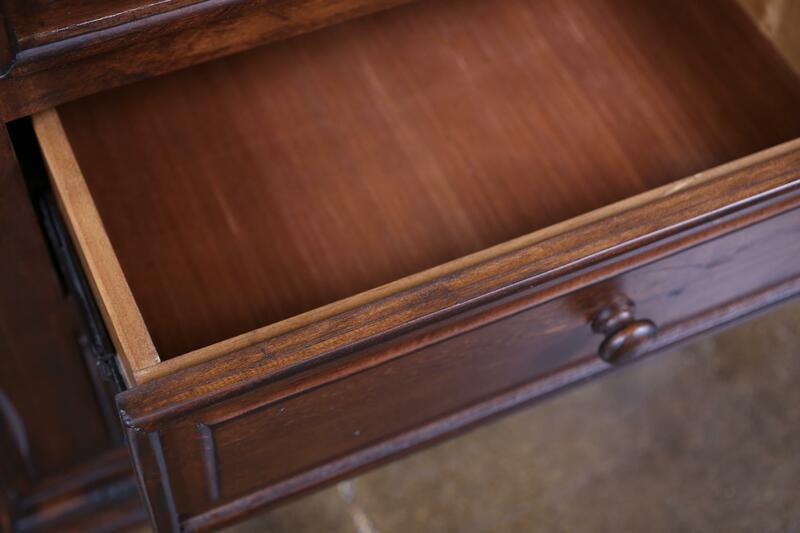 Perhaps it will hold your eye glasses, perhaps your favorite travel magazine, or maybe your journal. No matter how you choose to use your night table, it is one of those must-have touches in your Mexican bedroom. Nothing says “welcome” like 2 lovely night stands anchoring each bed. 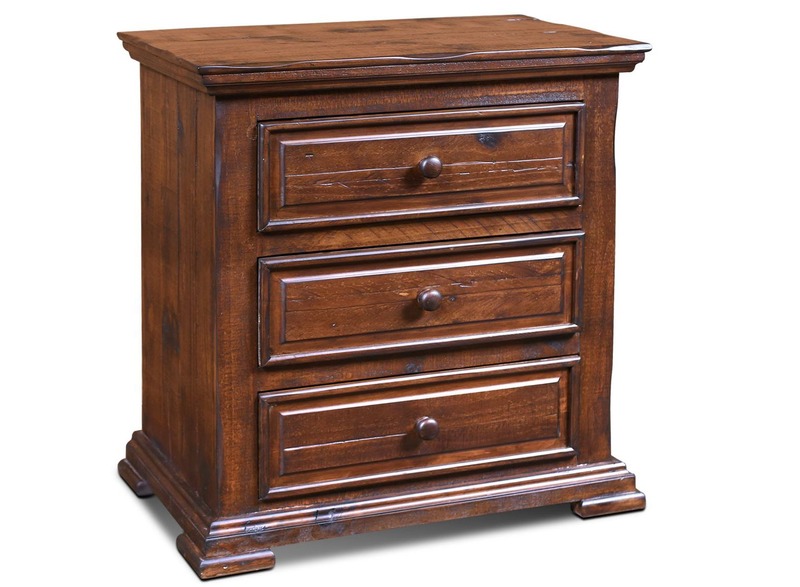 In this case, the night stands are perfection next to this bedroom’s “piece de resistence” – the Restoration Bed. 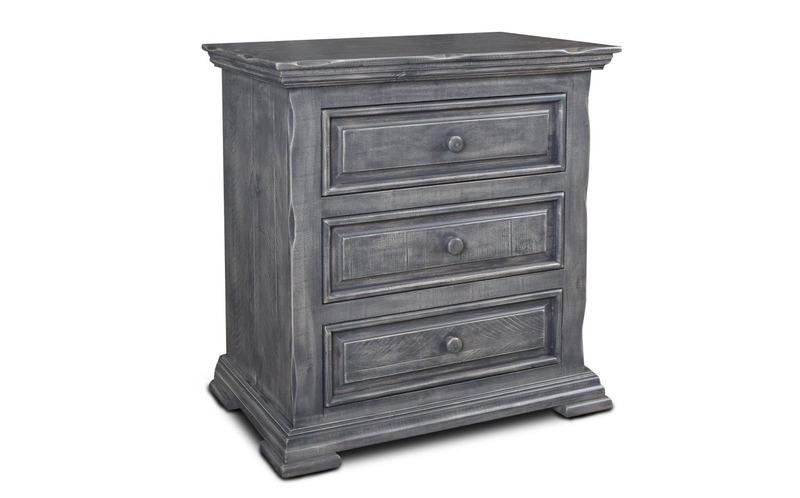 Solid pine wood in a weathered Antique Dark Grey finish. 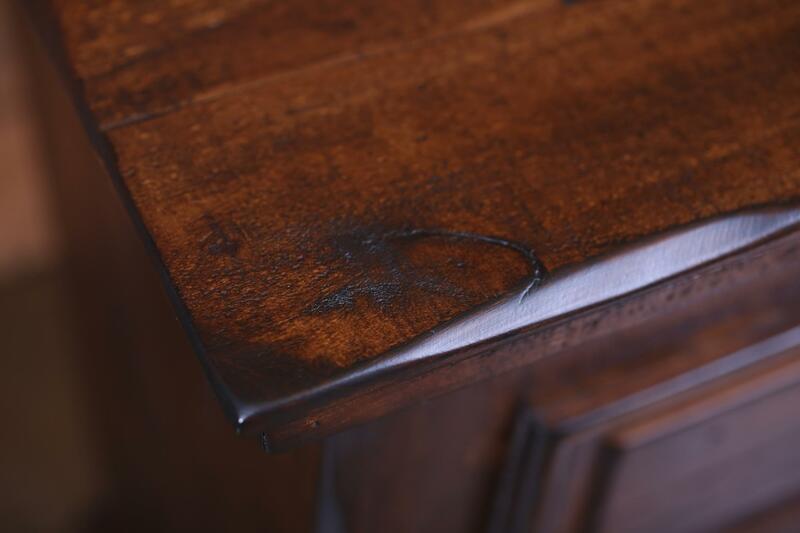 Please notice the detail of the lovely hardware in all our Restoration collection pieces. Rustic, sophisticated elegance with just a touch of urban-reclaimed.